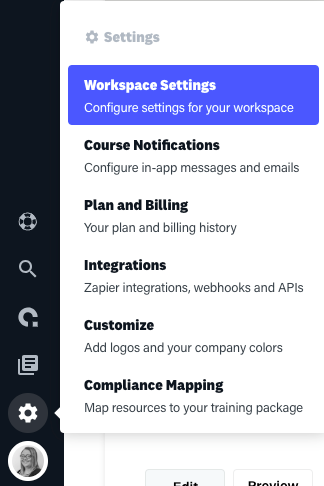 The Activity Log pane that appears on the right hand size of the Create page shows when changes have been made within the Create portion of the Workspace. This includes creation and updates to tiles/modules as well as when a tile/module is published or deleted. 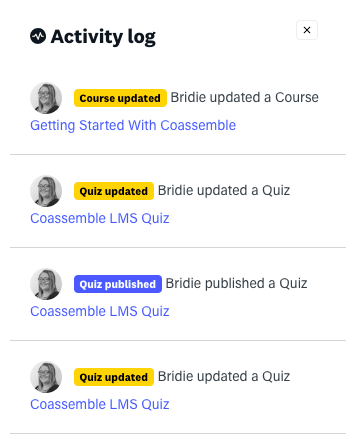 This is useful as you can see what resources are being worked on by specific users and what stage of the creation process they are up to. To change who sees the activity log, you can the visibility in Workspace Settings. Click on the options select box under Show Activity Log To to limit the access to either Everyone, Campus Managers, Department Managers, or Nobody. Depending on the option you choose will alter who within your workspace has access to the Activity Log.